Roth IRAs have long been a good deal for Self-Directed IRA investors – and they are a better deal now. The reason: Tax rates are unusually low in 2018. That means the tax benefits of the Roth IRA – chiefly unlimited long-term tax-free growth for the life of the investor – are available at fire sale prices. Currently, Republicans control the Presidency and both houses of Congress. The Tax Cuts and Jobs Act represents sweeping tax cuts for the vast majority of investors. But they will not last forever. A best case scenario means the tax cuts for individuals will sunset in 2025 and taxes will go back to the status quo ante. As such, distributions from your Traditional IRAs and Traditional Self-Directed IRAs will be subject to similar higher tax rates before the law took effect at the beginning of 2018. Further, it is likely that Democrats will retake some or all of the federal government by that time. Congressional Democrats opposed the tax cuts, citing the effect they would have on the deficit, as well as claiming the tax cuts overwhelmingly benefited the rich and corporations. Once they win some elections, they will probably be looking to increase taxes on the affluent. Now is the time to make some big moves establishing a Self-Directed Roth IRA, or converting existing Traditional IRA or 401(k) assets to a Roth Self-Directed IRA. Having at least part of your portfolio in a Roth IRA is a useful hedge against future tax increases. 1.) There are no required minimum distributions to worry about. With tax-deferred retirement accounts, you must begin taking distributions by April 1st of the year after the year in which you turn age 70 1/2, or you will face severe penalties from the IRS. This is a complicated set of rules that needlessly tags a lot of investors who do not have professional help with their retirement assets. But those rules do not apply to Roth IRAs. You can allow your assets to accumulate tax free for as long as you like. 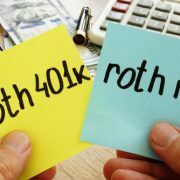 The Roth Self-Directed IRA is a great choice for those who do not expect to need to tap their retirement accounts for many years into retirement. 2.) Roth IRA withdrawals do not count against you when it comes to calculating Medicare surcharges. If your income is higher than $85,000 ($170,000 for married couples), Medicare rules require you to pay a higher rate for Part B and Part D coverage. But any income you take out of a Roth IRA, including a Self-Directed Roth IRA, does not count toward this limit. 3.) Roth IRA income does not count against you when calculating Social Security Income Tax. For these reasons, 2018 is an excellent time to start rolling over assets from tax-deferred retirement accounts to Roth accounts, or to open a new Self-Directed Roth IRA or 401(k). 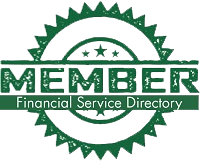 American IRA, LLC is one of the leading third party administrators of self-directed retirement accounts in the country. Though our offices are in Asheville and Charlotte, North Carolina, we work with motivated and successful practitioners of Self-Directed IRA strategies and Self-Directed 401(k) strategies from all over the United States. Our founder and CEO, Jim Hitt, has been engaging in Self-Directed IRA investing in his own portfolio for over 35 years. To learn more about getting started with Self-Directed IRA investing, or to open an account and begin investing, call us today at 866-7500-IRA(472). Or visit our website at www.americanira.com. Study: Fair Sailing Ahead for Real Estate IRAs Are You Ready for a Self-Directed IRA?